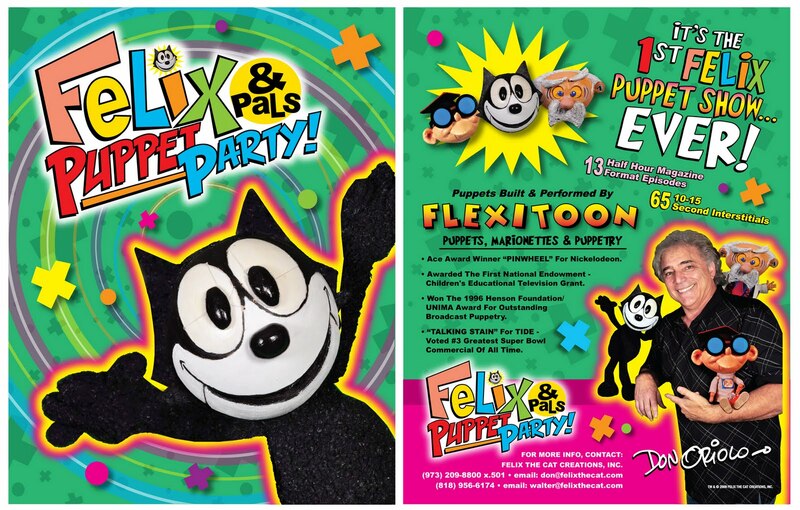 Flyer for Felix & Pals Puppet Party! Felix & Pals Puppet Party! is an unproduced TV series from Flexitoon and Felix the Cat Productions. This series would have starred the character Felix, Poindexter, and the Professor as puppets, all built by Flexitoon. 13 half hour episodes were planned, along with 65 interstitals of 10-15 seconds each.